What IS consciousness? Science has decided that the brain does not produce consciousness, so what IS this curious phenomena? The video below (sent to me by my good friend J. )gives us information from Science that reveals the truth of consciousness…it is not a part, nor a portion, of the human body. Rather, this awareness that is consciousness that arrives not from the intersection of neurons firing in our brains, but rather the soul…that nebulous force not found in the interstitial regions of our cellular matter, but yet inextricably tied tied to the health of it’s human host. Most certainly, since consciousness (the actual witness witnessing the world through our senses and minds) is impossible within the pure input-process-output material understanding, but since it is nevertheless possible to know we are conscious (for, as the great Merleau-Ponty pointed out, each being’s world is plainly there all around them, and not around anyone else), then, well, calling Consciousness the Hidden Truth in Science makes a lot of sense! 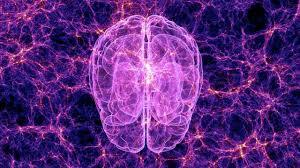 It is wonderful to see more and more scientists noticing and expressing the mystery of consciousness.